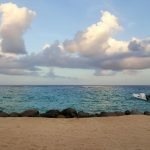 Two weeks ago I went to Necker Island, Sir Richard Branson’s private island in the British Virgin Islands. Richard Branson is the entrepreneur’s entrepreneur – running an international Virgin empire with over 400 companies ranging from airlines to financial services to yes – Virgin Galactic. And on Necker Island, over some 40 years, he’s built, well, there’s really no other way to describe it, a paradise. I was invited there to attend the Extreme Tech Challenge (www.extremetechchallenge.com) a wonderful event organized by MaiTai Global, an incredible group of international entrepreneurs led by Susie Mai and Bill Tai. I went with my buddy Gregg Katano who helped organize it. The Extreme Tech Challenge isn’t only for startups – but for disrupters. These three companies were invited to the final pitch on Necker Island, where the judges included Richard Branson. It was an amazing time. Such passion for innovation, all on an island paradise with 100 staff, flamingos, lemur habitat, and the resident billionaire. I met more cool people than I can count. Everywhere you turned there was someone fascinating. The three finalists were quite impressive. Sphero is selling the BB-8 robot from Star Wars, and they’re not exactly struggling. Giroptic has bar none the most impressive virtual reality camera n the market. But it was Bloom who won the day with their integrated approach to pregnancy. This is why I started EZ Numbers, to be in this exact kind of situation. 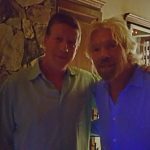 I’ve mentioned in previous articles that I feel that passion is far and away the most important ingredient for a successful entrepreneur, and that was on display on Necker Island. That and rum drinks.